As a functional medicine doctor, Dr. Osborne has a mastery of both traditional laboratory testing as well as advanced specialized labs. Depending on your presentation, Dr. Osborne will choose which tests are right for you. Some of the advanced unique tests performed at Dr Peter Osborne are listed below. Because many illnessess can be contributed to by genetic variations, this type of testing is critical to help establish a treatment plan. Some tests can be performed to identify how a person should eat. Others can identify how well your antioxidant systems function, how you metabolize vitamins, detoxify chemicals, etc. Most traditional vitamin and mineral tests are flawed and yield questionable results because the lab values are based on “the average person”. The flaw is: who gets to define what the “average person” is? Dr. Osborne uses intracellular analysis to determine a person’s nutritional needs. 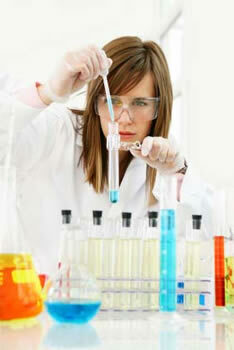 This type of testing was developed based on 18 years of research at the University of Texas biochemistry department. This process is highly advanced and allows for customization of supplementation and diet changes. There is overwhelming evidence confirming that nutrient deficiencies have been shown to suppress immune function contributing to chronic disease process including cancer, cardiovascular disease, diabetes, arthritis and Alzheimer’s. Therefore, identifying nutritional deficiencies plays a crucial role in patient treatment. One man’s food is another man’s poison. Identifying allergies can be a crucial component to restoring health. Allergies are linked to autoimmune disease, gastrointestinal, cardiovascular, liver, skin, neurological diseases, and more. Traditional allergy tests are performed on the skin. These types of tests only identify acute allergy reactions. Many chronic illnesses are associated with non-acute allergies (aka delayed hypersensitivity reactions). These are difficult to diagnose because the immune system is very dynamic. Many clinicians use IgG allergy tests to identify delayed food allergies. These tests can be helpful, but they are incomplete because the immune system reacts in multiple ways. Measuring IgG reactions checks only one possibility. Dr. Osborne performs comprehensive testing that investigates more than 310 foods and environmental allergies. This technology is patented and identifies all the known ways in which the immune system can react. Most standard lab tests look at total cholesterol, HDL (good cholesterol), LDL (bad cholesterol), and triglycerides. These values are very misleading and do not give an accurate picture about true cardiovascular risk. Dr. Osborne performs advanced lipid testing that measures subfractions of cholesterol as well as multiple inflammatory biomarkers that contribute to cardiovascular (heart) disease. Hormones and neurotransmitters are powerful chemicals that help deliver instructions to your DNA, cells, and tissues. Hormone deficiencies have been linked to 100’s of disease conditions. Many traditional hormone testing methods are incomplete and or misleading. Most women over 55 have bone density tests performed every two years. If the test reveals bone loss, a prescription for medication is typically given. The next bone density test won’t be measured for two years. This is a long time to wait to see whether or not treatment is working. Dr. Osborne performs a specialized urine test to measure how fast bone is breaking down vs. how fast bone is building. Therefore, treatment effectiveness can be monitored. Additionally Dr. Osborne offers whole body vibration therapy: A natural alternative to building bone and muscle while at the same time, losing weight.